Join the Kula Elementary School PTA!!! Join the Kula community for a spectacular event on the slopes of Haleakala (Kula School Campus - Lower Field) surrounded by extraordinary ocean and mountain views. 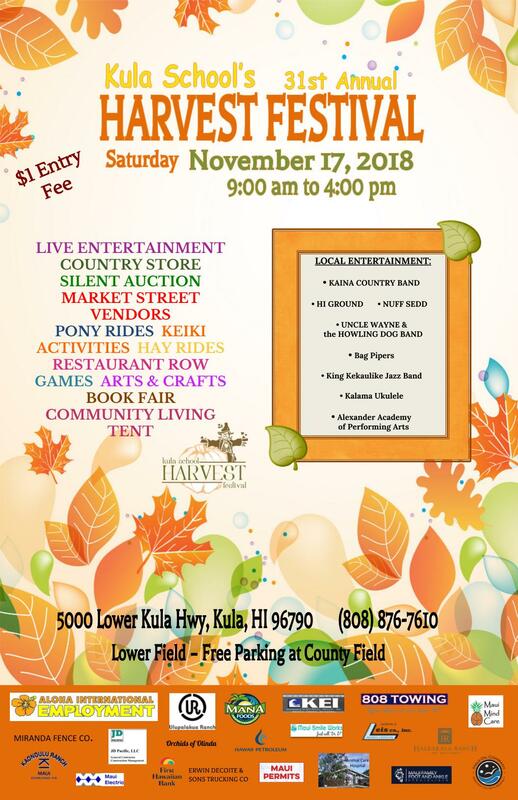 This is Kula Elementary School’s largest annual fundraiser’s and our mission is to raise money for important enrichment programs and other PTA funded activities, events, and needed support. Come and enjoy live entertainment, Market street; showcasing extremely talented local crafters and vendors and Restaurant Row; with fresh great food! Please join us at this fun filled day in support of Maui’s amazing Keiki! See you there. ​100% of your donations support Kula School teachers and students. Kula Elementary School Parent Teacher Association is a 501c(3) nonprofit organization. Your donations are tax deductible to the extent allowable by law. Please reference Federal Tax ID no.99-0260369. We will gladly provide a receipt for your donation upon request. Kula School PTA welcomes you to the 2018-19 school year! The PTA ohana includes parents, teachers, administrators, businesses, families and friends, working together to support the education of our keiki. Join us now to make a difference in children's lives. Our goal this year is 75% parent participation at our school. Participation includes attending PTA meetings, volunteering at PTA events, volunteering at school events, serving as a classroom rep, helping your child's teacher, volunteering with the PCNC, working in the library, cafeteria or playground, providing financial support and more. Stay informed! Sign up to get the Kula School electronic newsletter. You do not need to be a PTA member to receive this newsletter. 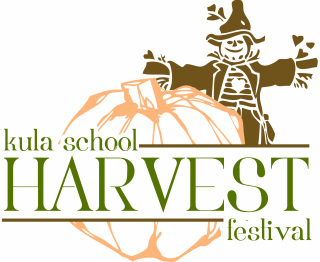 The newsletter is for the entire Kula School Community. Newsletters are sent out regularly via MailChimp (check your trash or promotions folder if you're not receiving them). Each newsletter includes an option to end your subscription. Newsletters include information about PTA activities and events, Kula School activities and PCNC events, and items of interest for children and families in the Kula community. Check with PCNC (Jody Kele) to get on the email list. ​F-building, by the dumpsters, or along the fence line at the entry to campus. Click here 2018 HF SAVE THE DATE POSTER for your work place or social media!